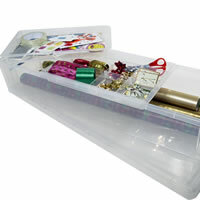 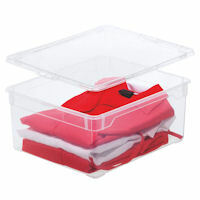 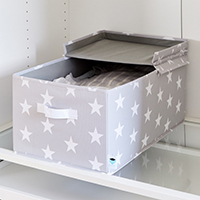 Our crystal clear stackable storage box is the perfect size for organising your jumpers and shirts. 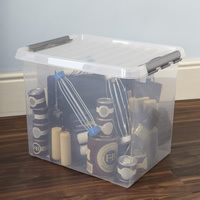 Having tried and tested a few alternatives here in the UK, we plumped for this robust Swiss-made box for it's quality and longevity. 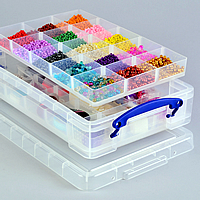 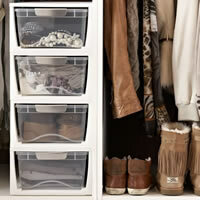 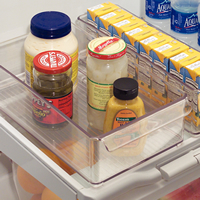 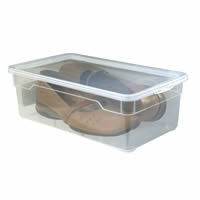 Made in Switzerland you can be assured you're buying a great quality plastic storage box here! 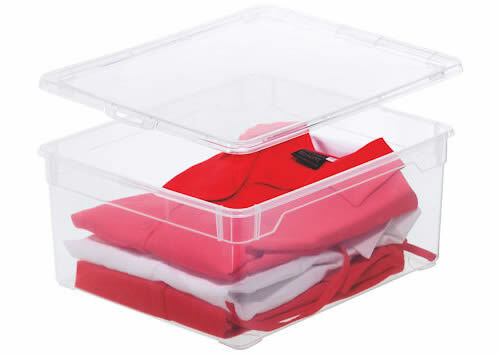 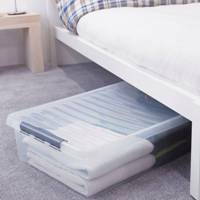 Crystal clear for easy identification of contents, this wardrobe storage box is easily stackable, lidded and will store around 4-5 shirts or 3-4 jumpers. 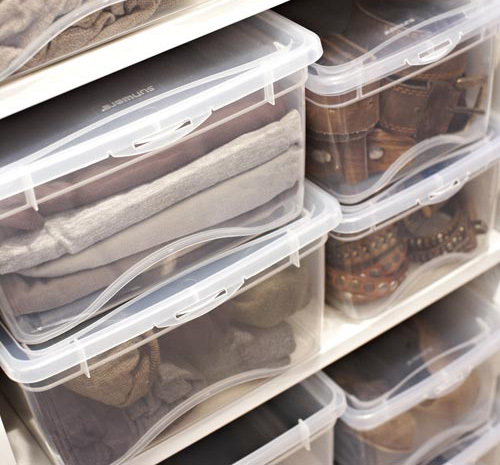 This neat storage box also matches our shoe storage boxes (see link below) if you want a coordinated look inside your wardrobe.